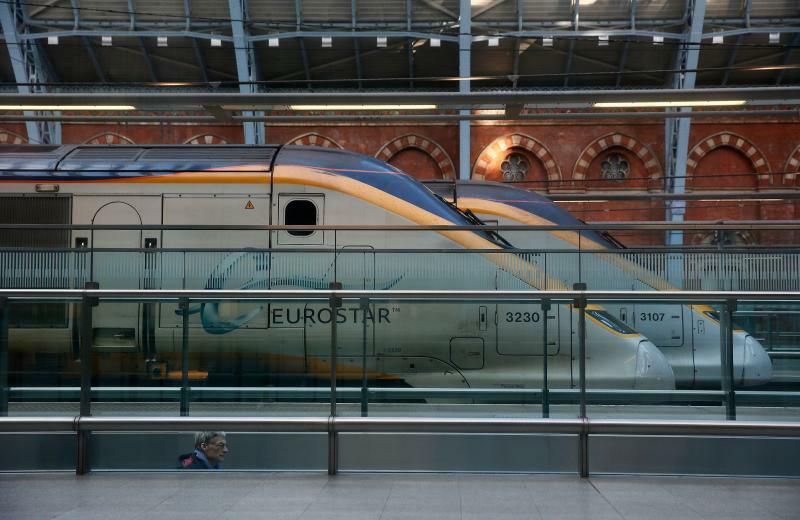 Eurostar trains stand at St Pancras International Station in London on Jan. 17, 2015. Eurostar is opening a direct high-speed train route between London and Amsterdam this spring, the rail company announced Friday. Starting April 4, passengers will be able to hop on board a train at London’s St. Pancras International and reach Amsterdam’s Centraal station in just three hours and 41 minutes, while traveling at a speed of about 186 mph. The trains between the United Kingdom and the Netherlands will depart London twice a day, at 8:31 a.m. and 5:31 p.m. They willrun nonstop to Brussels, Belgium, in one hour and 48 minutes, shaving 17 minutes off the Eurostar’s current travel time between these two cities. The route will also include a stop in the Dutch city of Rotterdam. One-way fares between the U.K. and the Netherlands along this route will start at about £35 ($48). Tickets will go on sale Feb. 20. Passengers are checked at the border control prior to boarding a Eurostar train at Midi/Zuid railway station in Brussels, Belgium, on March 15, 2016. Eurostar expects the train route to spark competition with airlines like easyJet and Ryanair, which offer cheap flights between London and Amsterdam. The company said over 4 million passengers use airlines to travel between London and Amsterdam every year. The market was reportedly about the same size when Eurostar launched its route between London and Paris in 1994. 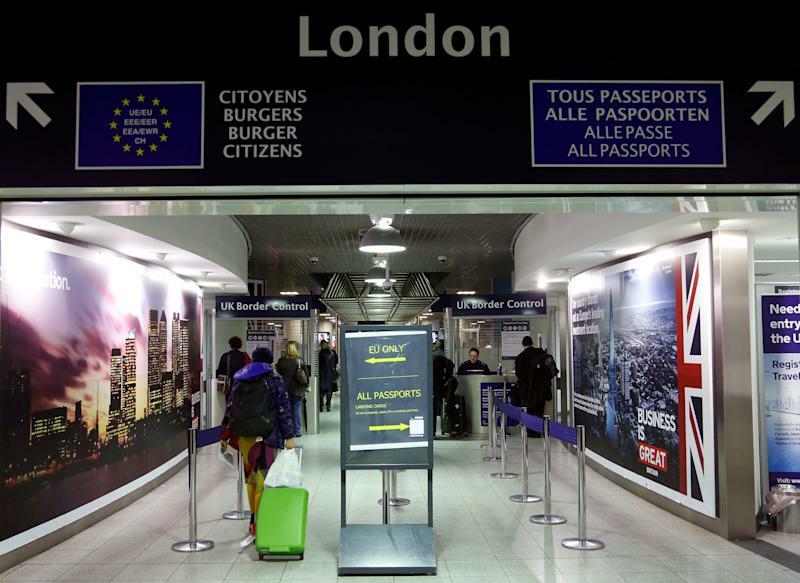 But there’s one hitch in the company’s current plans: The trip from London to Amsterdam will be direct, but passengers traveling in the opposite direction will have tochange trains in Brussels to go through passport and security screening. This is due to continuing negotiations between the U.K. and the Netherlands on enabling passport checks to be conducted in the Netherlands before departure. Eurostarexpects an agreement will be in place by the end of 2019that would allow passengers to travel direct both ways.